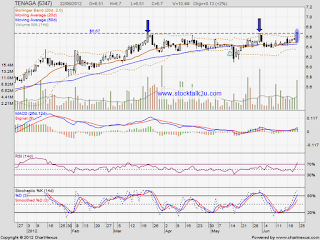 TENAGA succeed break through RM6.67 resistance level? Stochastics %K still on BUY call itinerary. Strong support at MA50 / MA20 level. 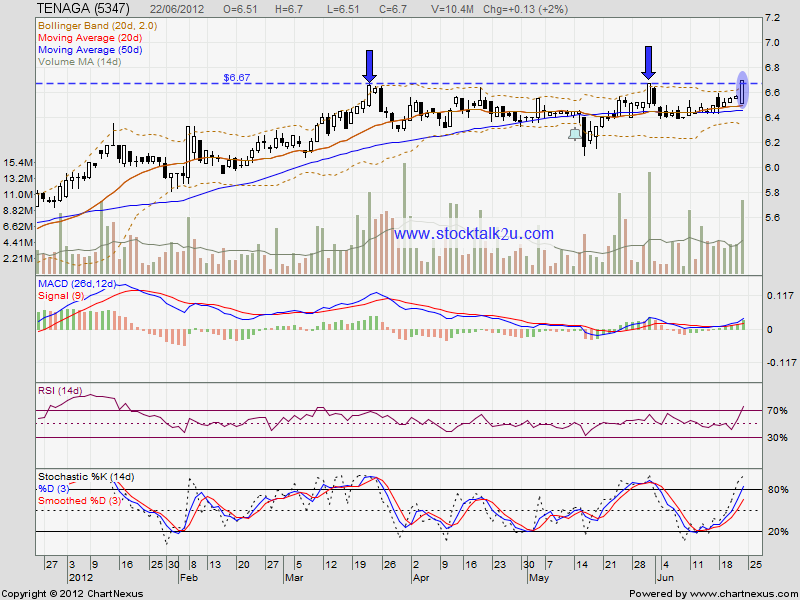 Immediate resistance would be RM6.82 level.